All tickets currently on sale! WE'RE COMMITTED TO MAKING YOUR VISIT A FUN AND MEMORABLE EXPERIENCE! Our biplanes were built in 1927 and 1929. Still going strong. 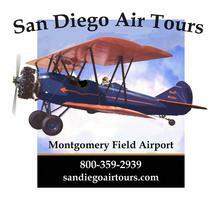 Tours from Montgomery Field in central San Diego allow the greatest variety of sightseeing available. Our company can take you over San Diego Bay, Coronado, Point Loma, Mission Beach, Pacific Beach and the north coast. We can even go all the way to the Mexican border. 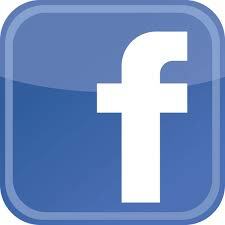 We have been operating for many years at our current location. Nobody does it better. Give us a call at 800-359-2939. Call 800-359-2939 today to make your reservation! AMAZING BIRD'S EYE VIEWS OF THE BEACHES AND OCEAN THAT CAN'T BE BEAT! We offer the best antique biplane rides for one or two passengers (no extra charge for the second person) from 20 minutes to 50 minutes in San Diego County. All times are for actual time in the air. Looking for a last minute gift? We can send a ticket via email same day. Our tickets are good for a year. So, the ticket can be used anytime for 2019. Call for more information or to order. Our rides are for up to two passengers per ticket. Thanks.